This year marks the 71st anniversary of the Locarno International Film Festival, making it one of the world’s longest-running film festivals. The festival screens short and feature-length narrative, documentary, and contemporary films. These films are part of several competitive and non-competitive programs that makeup the festival. Screenings are held in the famous Piazza Grande in the heart of the Swiss-Italian town of Locarno. The piazza can accommodate about 8,000 people, which makes it the venue perfect for the festival. Out of the thousands of film submissions that Locarno receives each year, the lucky few get accepted for entry. The best film in the International Competition is awarded the Pardo d’Oro (Golden Leopard), which is the grand prize of the festival. Other awards that films vie for are the Leopard of Honour for exemplary career achievement, and the public choice award called the Prix du Public UBS. The 2018 lineup has not yet been announced, but lots of other news has been recently announced. This year’s festival will pay tribute to the Taviani brothers who contributed so much to Italian cinematic history. The festival will also recognize remarkable achievements in film. The Pardo d’onore Manor will be awarded to French director Bruno Dumont, and the Excellence Award to Hollywood actor and director Ethan Hawke. The festival was formerly known as the Festival del film Locarno and was founded on August 23, 1946. The inaugural festival began with the screening of the movie “O sole mio” by Giacomo Gentilomo at the Grand Hotel of Locarno. Other movies presented during the first festival include “The Song of Bernadette (1943)” by Henry King, “Double Indemnity (1944)” by Billy Wilder, and “And Then There Were None (1945)” by Rene Clair. In 1971, the first screening took place at the Piazza Grande, which has become the main venue of the festival ever since. Over the years, the Locarno International Film Festival has presented short and feature-length films by a lot of famous international directors, including Stanley Kubrick, Claude Chabrol, Paul Verhoeven, Milos Forman, and Marco Bellocchio. The festival also helped the careers of several now well known directors, like Glauber Rocha, Raul Ruiz, Alain Tanner, Chen Kaige, Mike Leigh, etc. The festival attracts not only the local Swiss-Italian community, but also from all around the globe. This is in part thanks to a list of world-renowned stars and celebrities who have attended the festival in the past. These include such stars as Quentin Tarantino, Marlene Dietrich, Susan Sarandon, Anthony Hopkins, Jean-Luc Godard, and many others. 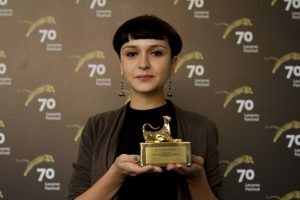 The Locarno International Film Festival awards the following prizes to the winners of each competition. 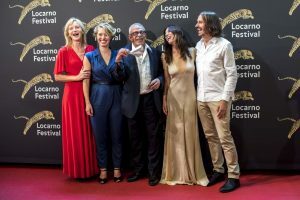 Pardo d’Oro (Golden Leopard) – The highest prize of the festival awarded by the city and region of Locarno to the best film in the international competition. Special Jury Prize- This is given to the second best film in the international competition. This is awarded by the cities of Ascona and Losone. Leopard for Best Direction- This is given to the best-directed film in the international competition. This is presented by the city and region of Locarno. Pardo d’Oro Cineasti del Presente– This prize is given to the best film of this competition. Cine + Special Jury Prize- The winner of this category gets the broadcast rights on the French television channel Cine + Club. Pardo per la Migliore opera prima (Leopard for Best First Feature)- This prize is awarded to the best work presented in the international and the filmmakers of the present competitions. Pardino d’Oro for the Best International Short Film- SRG SSR Prize – This award is given to the best short film in the international competition. Pardino d’Oro for the Best Swiss Short Film- Swiss Life Prize- This award is given to the best short film in the national competition. Pardino d’argento Swiss Life for the national competition- This prize is presented to a film in the national competition. Locarno short film nominee for the European Film Awards- Pianifica Prize- Sponsored by the Pianifica studio, this prize is given to a short film created by a European director and earns a guaranteed nomination in the short film category of the European Film Awards. The prize for Best Swiss Newcomer- This award offers equipment sponsored by Visuals SA, Cinegrell, Freestudios SA, Taurus Studio e Avant-premiere SA/Film Demnachst AG. Premio Medien Patent Verwaltung AG- The film that will be chosen for this category will be subtitled in three European languages. Pardo d’onore Swisscom- This award is given to remarkable film directors who represent the cinematic idea that the festival supports. Some of the past recipients of this award are notable filmmakers such as Bernardo Bertolucci, Jean-Luc Godard, Manoel de Oliveira. Excellence Award- Sponsored by Moet & Chendon, this award is presented to world-renowned actors who have improved the film industry with their unique talent and contributions. Some of the famous recipients of this award include John Malkovich, Susan Sarandon, Edward Norton. The Best Independent Producer Award- Founded in 2002 in memory of Raimondo Rezzonico, this award is presented to film producers who take risks in supporting auteurs. Vision Award- This prize is given to key figures who work behind the scenes to improve the cinema industry. Premio Cinema Ticino- Founded in 2009, this prize is given every two years to a film public figure from Ticino. Leopard Club Award- Founded in 2013, this award is presented to a key figure in the film industry that has set a mark on the collective imagination. Pardo alla Carriera- This award is given to people who’ve had an exceptional career in the movie industry. Lifetime Achievement Award- Founded in 2011, this award is presented to celebrities with remarkable film careers. Prix du Public UBS- This is the Festival’s audience award. The winner is chosen by the attendees at the Piazza Grande. Variety Piazza Grande Award- This award is presented to the film that has artistic and theatrical qualities. A jury of American trade paper’s critics gets to choose the winner of this prize. Swatch First Feature Awards- These awards are given to the first works in each section and are chosen by a jury of international critics. The film categories are Concorso Internazionale (international competition), Concorso Cineasti del Presente (filmmakers of the present), Fuori Concorso, Signs of Life, and Piazza Grande. Filmmakers and producers can head to the festival’s official website at https://www.locarnofestival.ch to submit their films. You can also view and download the rules and regulations for film submissions from the website. The call for entries for this year’s Locarno International Film Festival is already closed. The deadline for the submission of entries was on June 15, 2018. 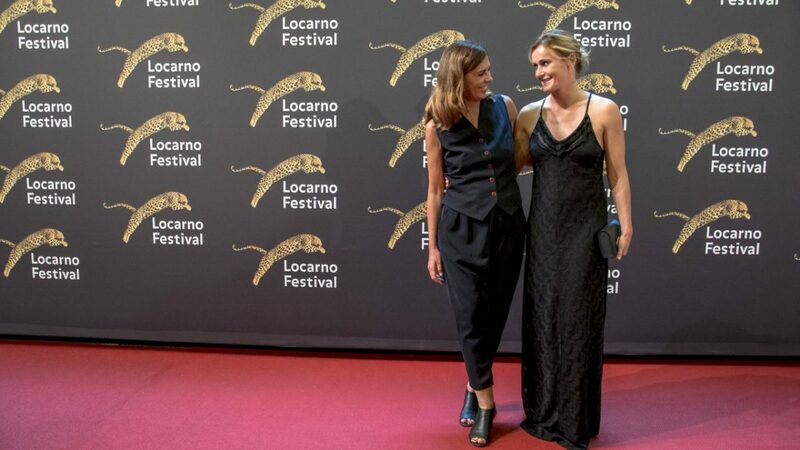 The submission of films for the 2019 Locarno Film Festival will begin in March 2019, so stay tuned and check the official website for updates. For more information, you can reach out to the Programming Office at programming@locarnofestival.ch. This year the Locarno International Film Festival will also be attended by Sofy.tv. Sofy.tv is a live streaming site that is exclusively dedicated to short films. This new Swiss startup is not only promoting its service but is also there to signup new films for its catalog. In order to lend its support to the biggest film festival in Switzerland, the creators will be promoting surprise offers during the festival. If you wish to find out more, either visit their website or head to their stand during the festival which will be located in the Palexpo Fevi building. The Locarno International Film Festival will run from August 1, 2018, until August 11, 2018.